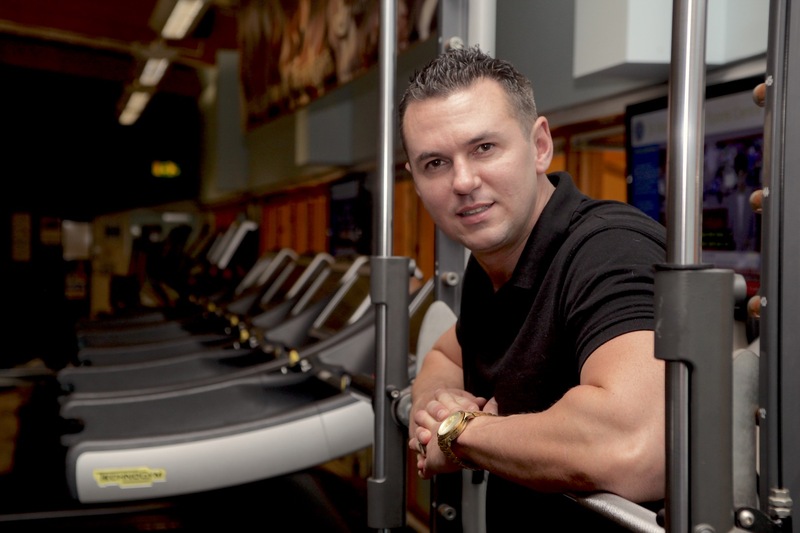 Matt Fiddes is one of the most respected experts in the international world of martial arts and fitness. Matt’s achievements have seen him honoured at the highest level, after being inducted into the UK Martial Arts Hall of Fame and presented with the prestigious ‘Martial Arts Superstar Award’. He first discovered a talent for self-defence at seven after being bullied at school. Five years later he had already won his Black Belt with a determination and drive that was to mark him out as a special talent. Leaving school at sixteen with no qualifications he opened the first Matt Fiddes Martial Arts School in his hometown of Barnstaple, North Devon, with just £100. Matt’s unique training programmes are designed for both children and adults and have proved to be a massive success with over 600 training schools across the UK and Europe including Ireland, Germany, Holland, Australia and South Africa. He is a 7th Degree Black Belt Master in Tae Kwon Do and holds Black Belts in Kickboxing and Kung Fu is now one of the most in-demand personal trainers thanks to front covers and interviews in newspapers and magazines worldwide. He has numerous celebrity clientele including actors, supermodels and singers. Undoubtedly Matt’s biggest client was superstar Michael Jackson. Introduced to Matt by his close friend Uri Geller, Matt was Michael’s personal UK bodyguard for over a decade before his tragic death in June 2009. Matt Fiddes launched "MF Dance", which offers Street dance programmes for children and adults worldwide and MF Pilates, a refreshing mind-body workout, which promotes strength, weight loss, muscle tone and flexibility. In October 2016 Matt become headline news across the globe when he provided his expert advice, as a bodyguard and self-defence consultant on the Kim Kardashian robbery in Paris which made worldwide news. Matt was interviewed by Piers Morgan for Good Morning Great Britain, Sky News, Inside Edition, USA Today and Good Morning America, to name but a few. Renowned for his business acumen, Matt has also featured as the cover star for Start Your Business and Business Leader Magazines. 2016 also saw Matt Fiddes achieve a record breaking 1 million video views and 14,000 shares demonstrating three self-defence moves every parent should teach their children. Off the back of the over-welcoming feedback, Matt Fiddes has launched an online petition to make self-defence classes mandatory in all UK secondary schools. During 2017 Matt Fiddes will be exclusively training Miss Great Britain to get into shape for Miss Tourism World. Due to his extensive knowledge, Matt is a regular commentator for both Mail Online and Daily Express Online, where he gives his expert input on how the world’s biggest personalities stay in shape. Recent commentary has involved Brigitte Trogneux, the French President’s wife and actress Jenna Coleman. One of Matt’s proudest moments came in 2012, when he was invited to the Headley Court rehabilitation centre in Surrey to work with injured servicemen and women who had lost limbs while on active service and launched of NOBULL, an anti-bullying campaign which has received huge support across the UK and internationally. Today, he now runs a multi-million pound, international martial arts franchise which is the world’s biggest martial arts brand in the world. Matt sits on the board of advisors for the Worldwide Martial Arts Teachers Association (MATA) along with the industry’s most admired teachers. Matt is dedicated to building his martial arts schools where he can help improve the fitness and life skills of young people. Matt was inducted into the UK Martial Arts Hall of honours in Munich in 2014 and was presented the highest-level award, the ‘Martial Arts Superstar Award’, for his on-going work and contribution to the martial arts industry worldwide. Matt was inducted into the European Martial Arts Hall of Fame. Matt is married to South African singer Moniqe Fiddes and they live in Wiltshire with their children. Matt also runs a successful property portfolio in Devon where he offers professional accommodation to 85 people.